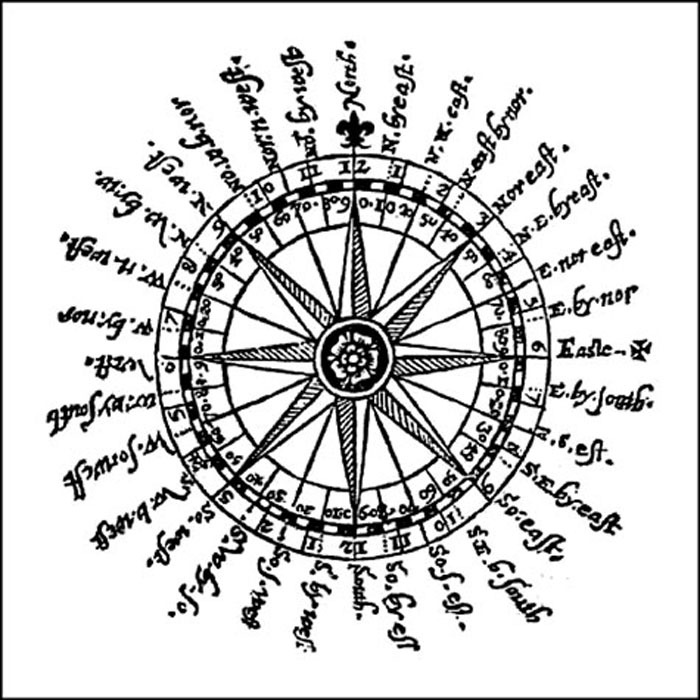 Sixteenth-century rendition of a compass rose, with 32 points. is the system which repeats in each quarter. The points are 11 1/4 degrees apart: the result of dividing 360 degrees by 8 which is what happens when a circle is quartered 4 times. 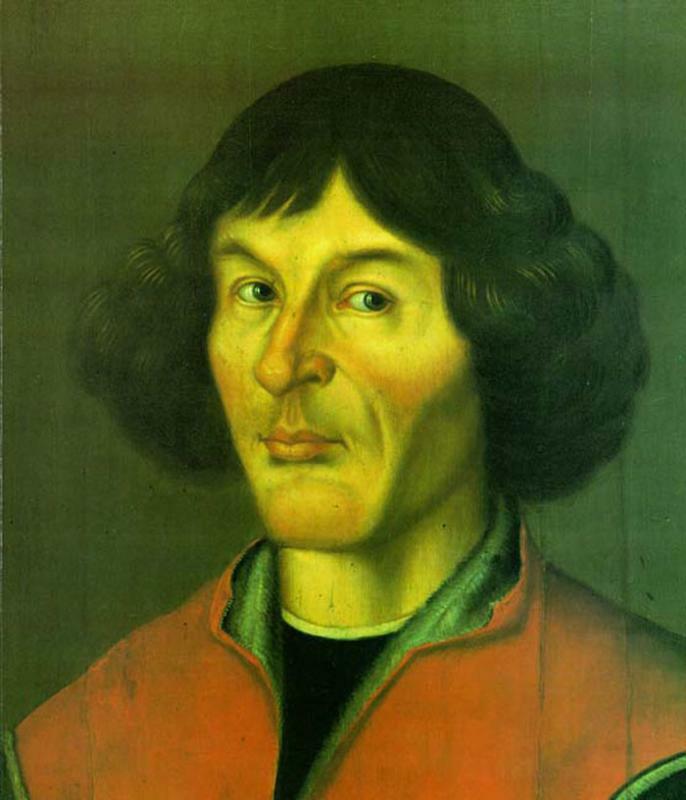 This portrait of Copernicus comes from the Nicolaus Copernicus Museum in Frombork, Poland. Copernicus showed that the earth was not the center of the universe, but that the sun was the center of a solar system. 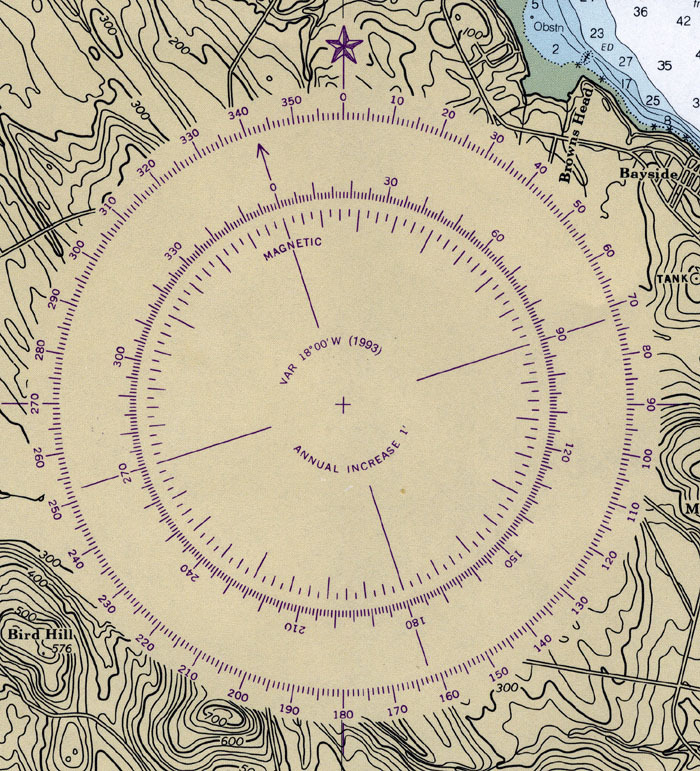 This compass rose, appearing on a 1993 chart, Penobscot River, NOAA Number 13309 , gives directions in degrees, but points are still included. It has three concentric roses, one for true directions and two for magnetic directions with the inner one graduated in points of 11 1/4 degrees. The inner roses have been set to the local magnetic variation of 18 degrees west. 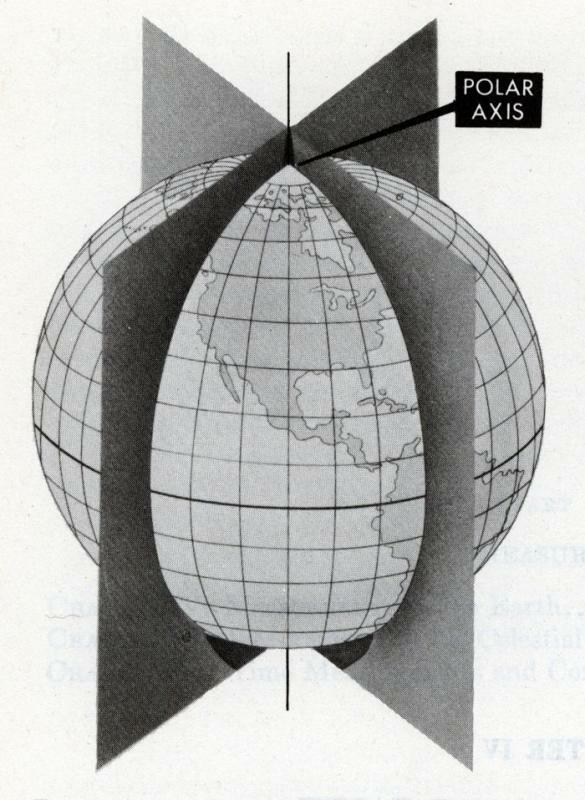 Illustration showing how longitude lines cut the globe in planes that intersect at the polar axis. 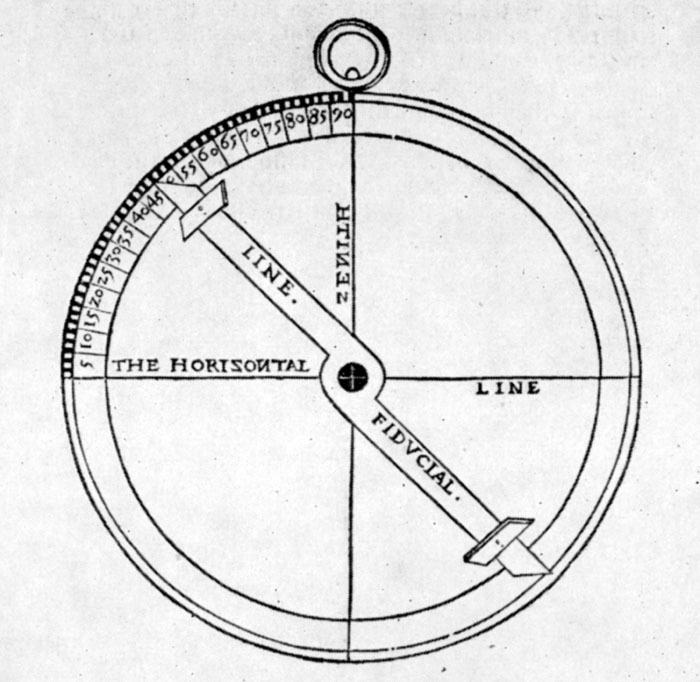 Longitude is a measurement that identifies a location as being a certain distance east or west of a prime meridian. Penobscot Marine Museum is located 68 degrees 55 minutes west of the Prime Meridian which passes through Greenwich, England. 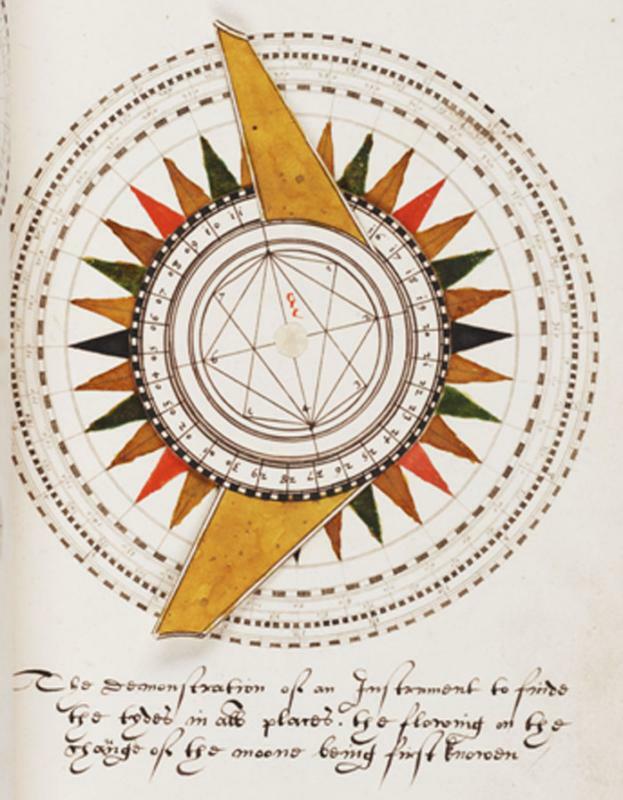 This illustration is from Bowditch's American Practical Navigator, H.O. Pub. No. 9, 1975, p. 444. 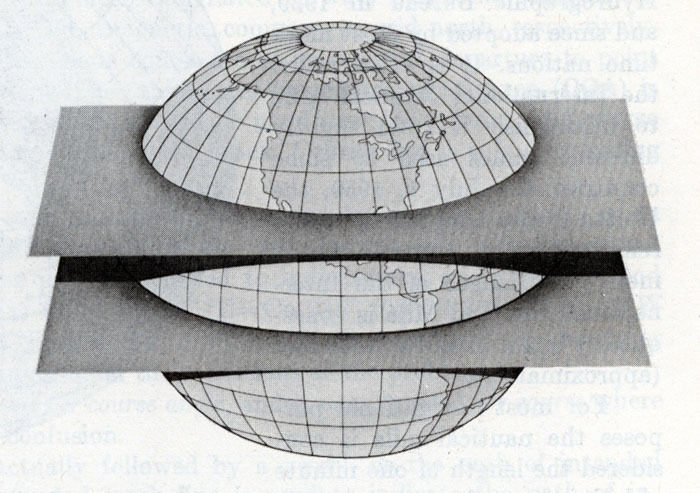 Illustration showing how latitude lines cut the globe in parallel planes, with the longest latitude line being the equator. 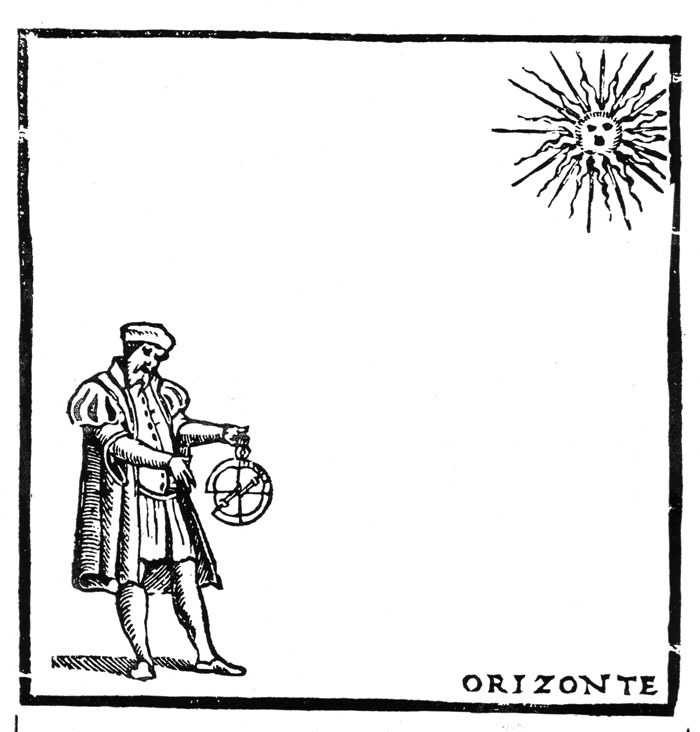 Latitude is a measurement that identifies a location as being so far north or south of the equator. Penobscot Marine Museum is located 44 degrees 27 minutes north of the equator. 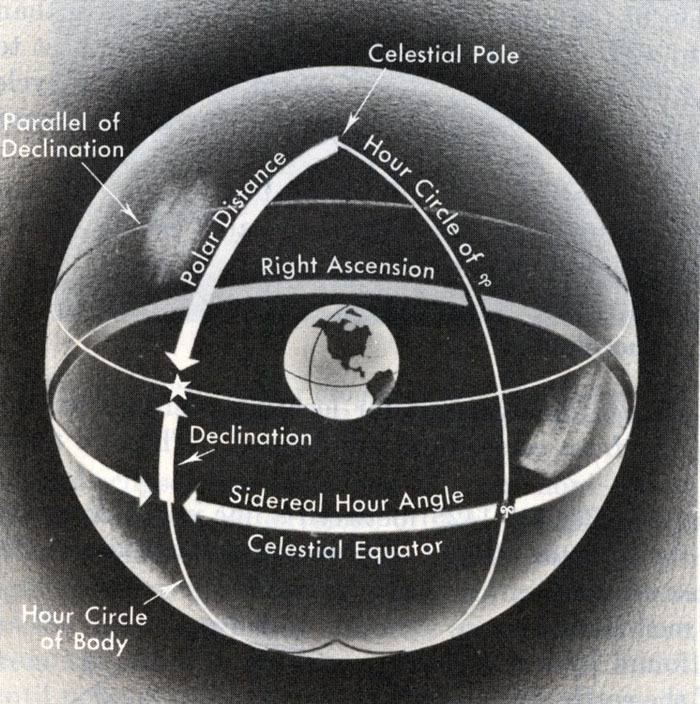 This illustration is from Bowditch's American Practical Navigator, H.O. Pub. No. 9, 1975, p. 445.